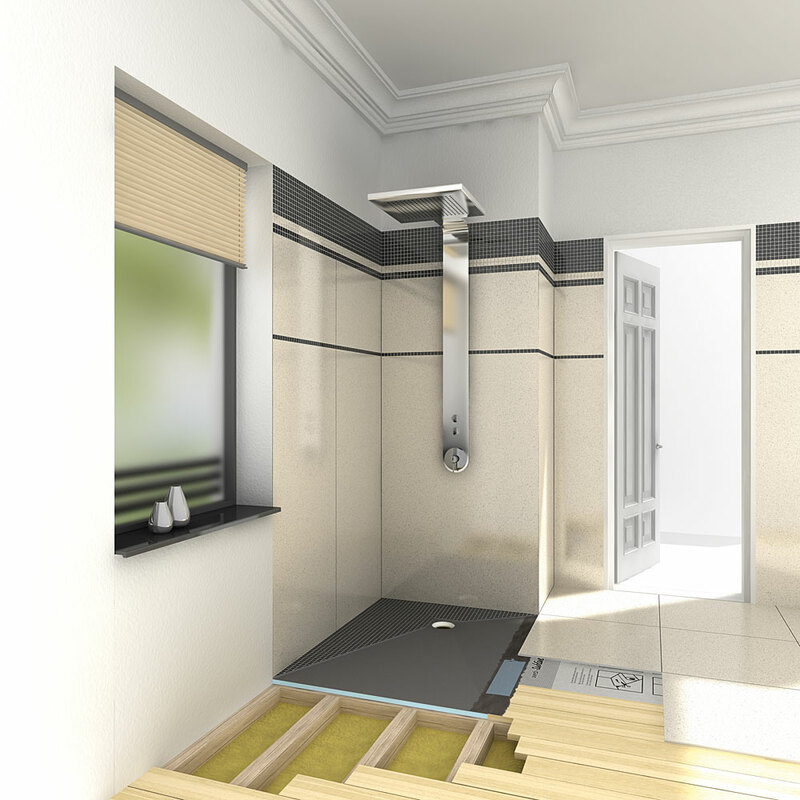 Homeowners and builders increasingly favor shower spaces which can function without a curb or would not require any build up over existing floor areas resulting in a step up into the shower. 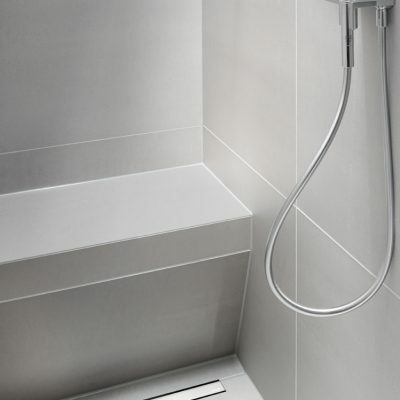 One important reason for this trend is: easier and safer access to the shower for older and/ or physically disabled persons. 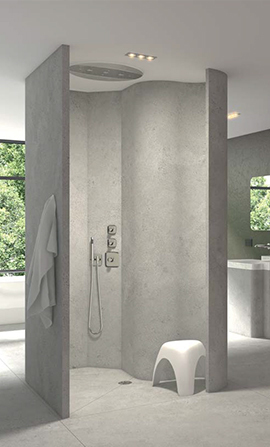 While this trend offers great design and business opportunities it also presents technical challenges which cannot be overcome by many conventional shower installation methods or products. 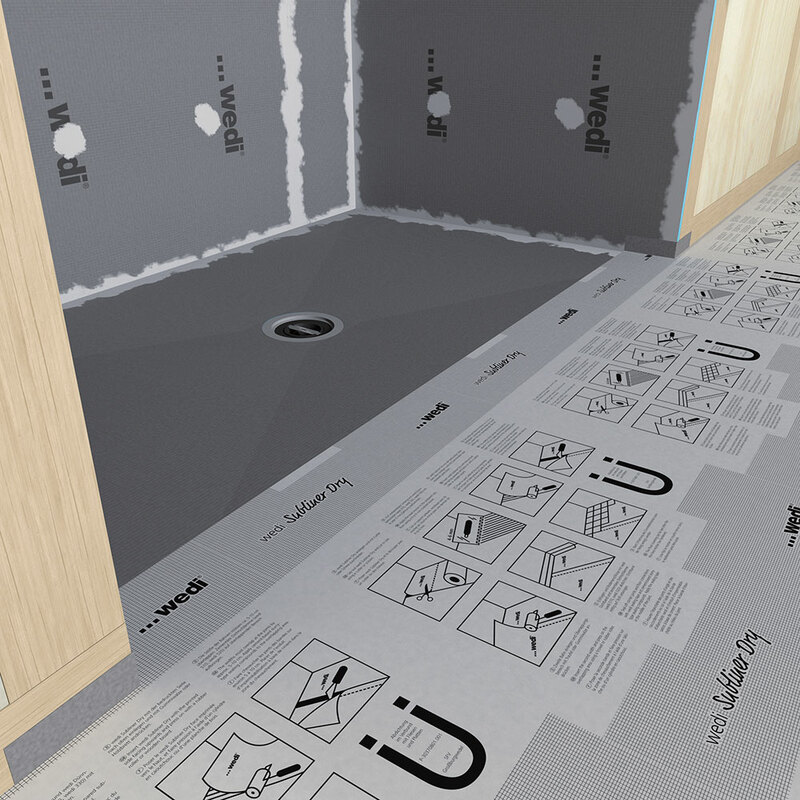 Main challenges are safe recessing of a sloped shower base into an existing structural floor for a flush transition and the extension of waterproofing from shower area into surrounding floor areas no longer protected by a curb keeping water inside the shower area. 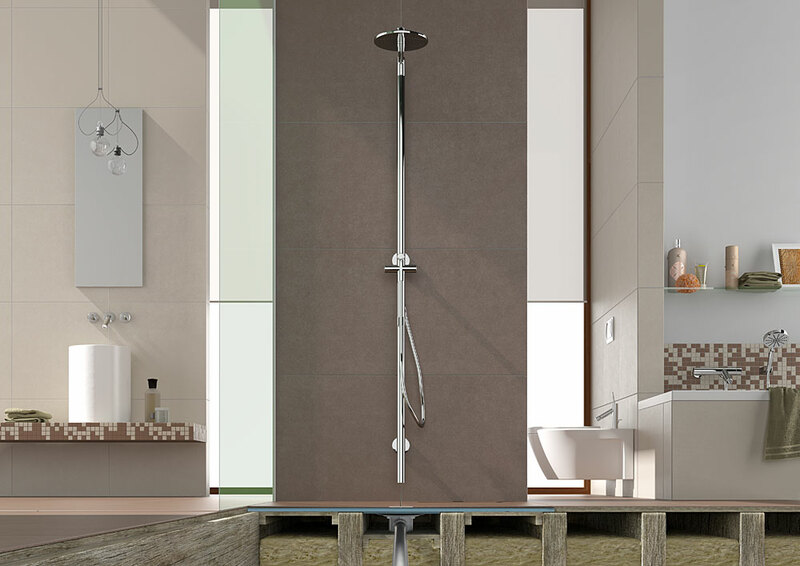 To address all challenges for tile professionals, wedi engineered Fundo Ligno, a sloped shower base ¾ inches thin at its perimeter and available in various sizes. Ligno can be field modified. 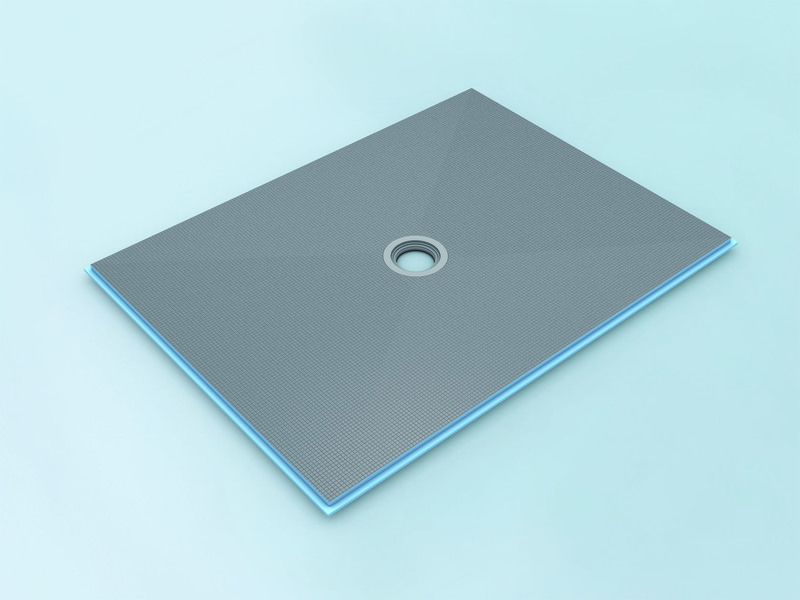 The installation within a ¾” plywood structure requires no cutting into joists. Loadbearing plywood is simply reinstalled between floor joists and over 2 x 6 or 2 x 4 blocking then attached to the joists. 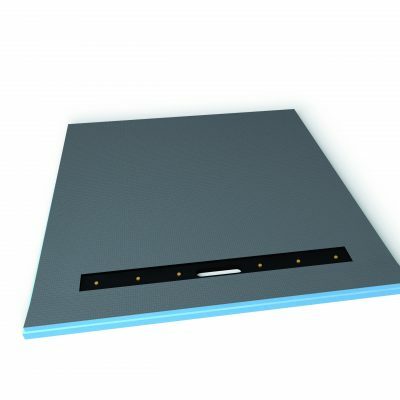 This guarantees a full support and protection of the tiled surface. 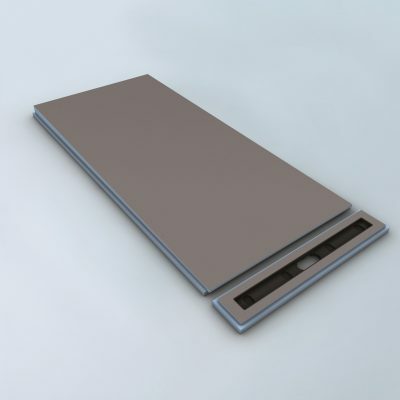 The wedi typical strong cement based, reinforced surface is pre-sloped, directly tileable with large or small format tile. 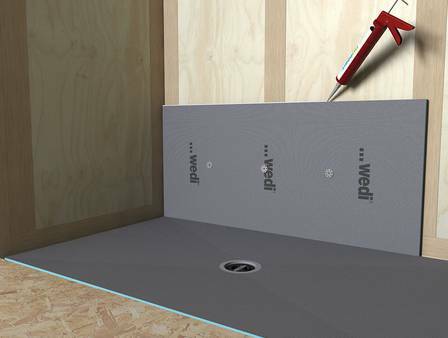 Ligno interlocks with wedi Building Panel used as waterproof backer board on walls as well as on the surrounding floor. 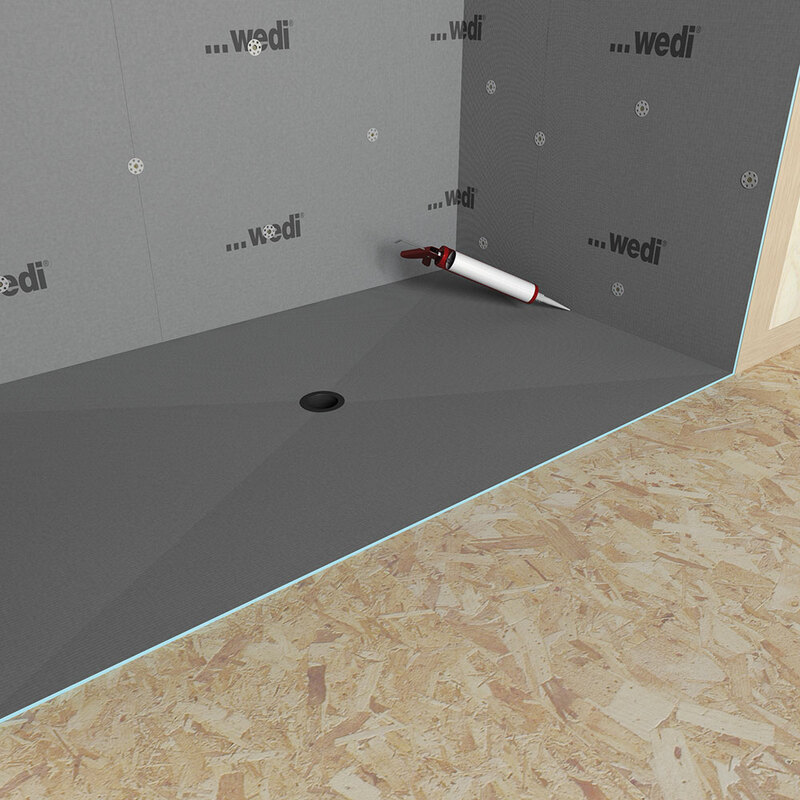 Optionally, wedi‘s Subliner Dry Sheet Waterproofing membrane can be used. 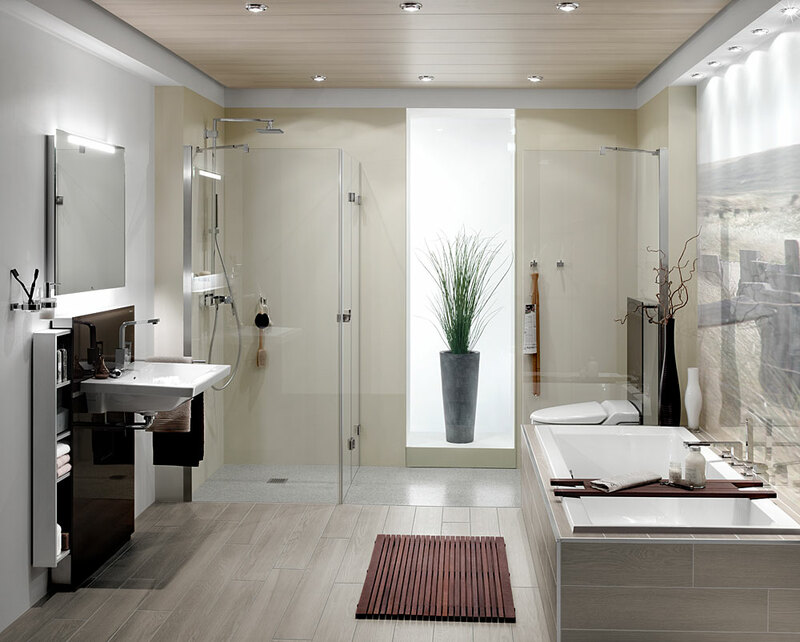 Both options offer a complete and professional system installation.